Adding a push-button and connecting it up the a GPIO port is as simple as writing a tiny pyhon script to initialize the IO port for input and utilizing a built-in pull-Up button. 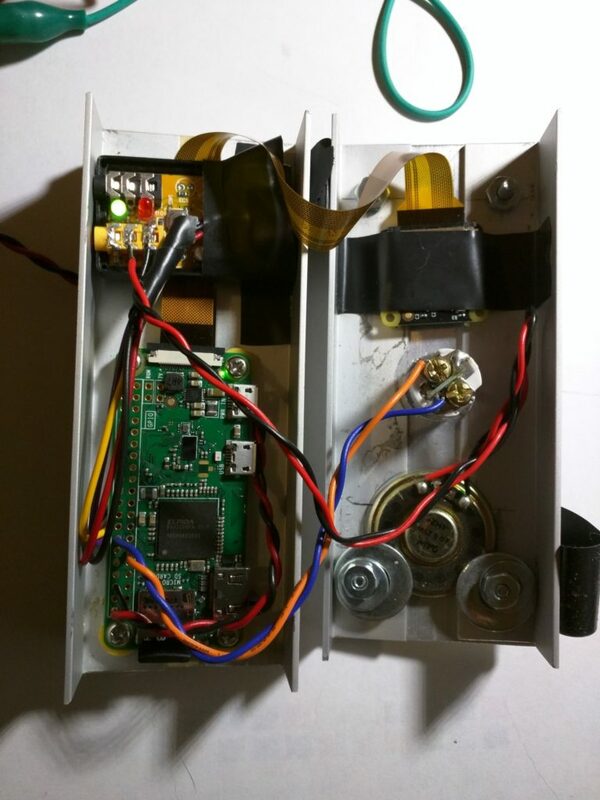 The Raspberry PI button is then capable to act as a Doorbell button. to actually hear some audio through the soundcard. Now the next step was to connect GPIO port 17 to GND and use the built in bull-down-resistors to detect a button-press event. Here is the push_button.py – python script which I use. This script is straightforward and is simply waiting for a button press on GPIO pin 17 ( to GND ). The final loop is a forever loop with a one-day delay which will help keep the responsiveness of the Raspberry PI button at a good level. If during this time a button press was detected, then the ding_don.sh – script, which in turn plays a sound on the speaker. 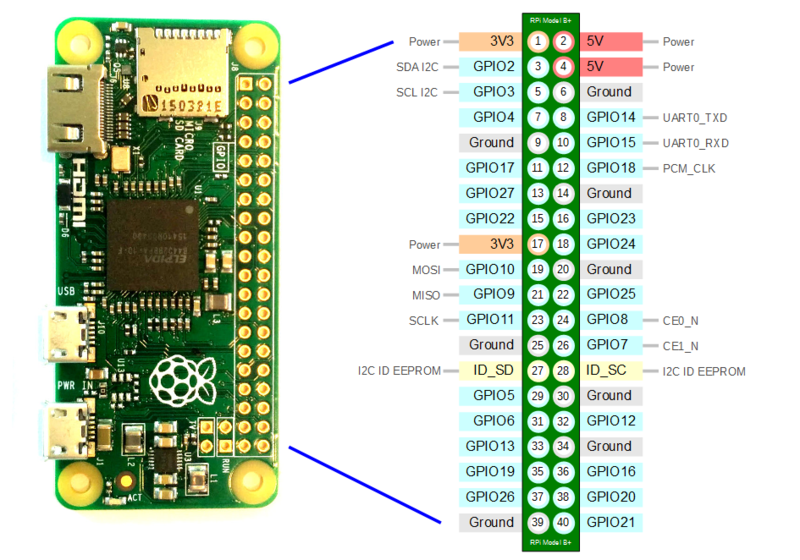 Below is the pin-out of the Raspberry PI Zero W.
In this case I connected GPIO17 ( orange wire ) and GND ( blue wire ) ( PIN 11, and PIN 14 ) to the doorbell button. The Raspberry PI button is now all set to act as the Doorbell button for my Video-Doorbell project.